A newly released post on Nintendo’s official Super Smash Blog features none other than the new Great Plateau Tower stage, which is inspired by the location in Breath of the Wild. A fun fact about the new stage is that the top part of the tower can be destroyed after taking damage, but will come back eventually. 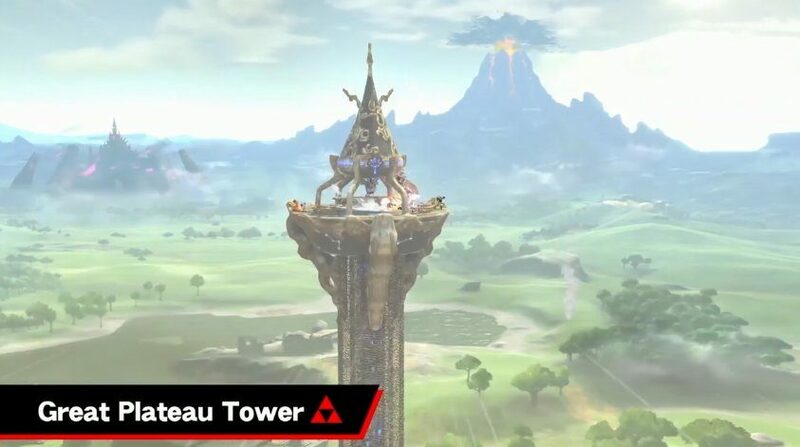 And players with a good eye will spot a certain Old Man atop the tower. The stage will appear in the new Super Smash Bros. Ultimate, which is due for release on December 7th, 2018 for the Nintendo Switch. Fans will have the opportunity to battle as Link while sporting his iconic blue Champions Tunic, use weapons seen in Breath of the Wild –— such as the Traveler’s Bow and Remote Bombs — and execute a Final Smash with an Ancient Bow and Arrow. What do you think of the new stage and the fact that it can be temporarily destroyed? Let us know in the comments below!